My cousin is involved with Purple Stride Denver. Purple Stride is an organization dedicated to raising money and awareness in the battle against pancreatic cancer. 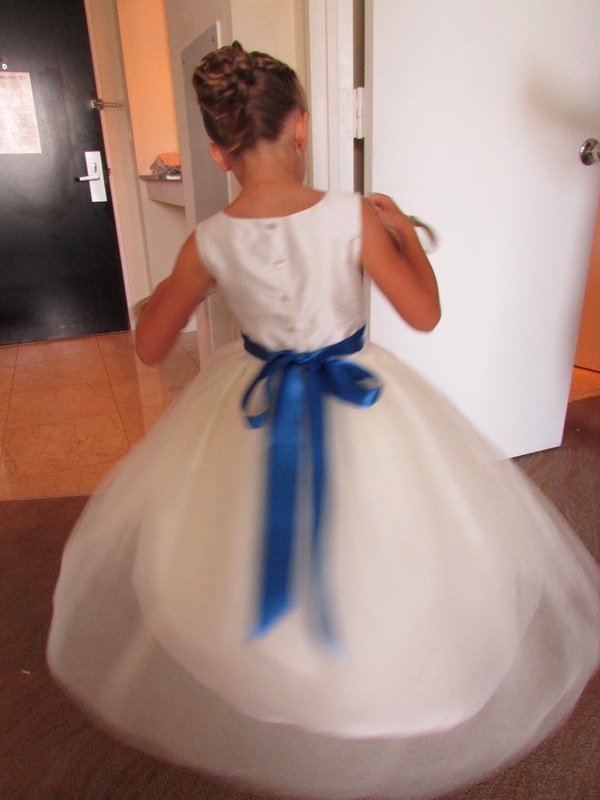 Her mom, my aunt, lost her fight back when I was just six years old. My cousin was five. This year, Daisy Lane Design is getting involved with the Purple Stride 5K Run and Family-Friendly Walk which is taking place in Denver on June 22, 2014. 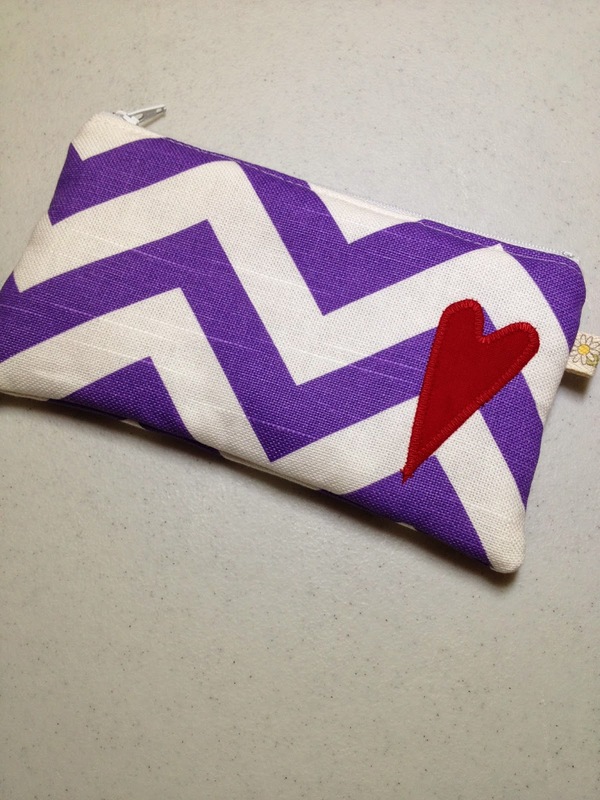 10 DLD zip pouches are being donated to individuals who are currently battling this disease. But I would like to see if we could do more. So I am offering the bags for purchase as well, from now until June 15. 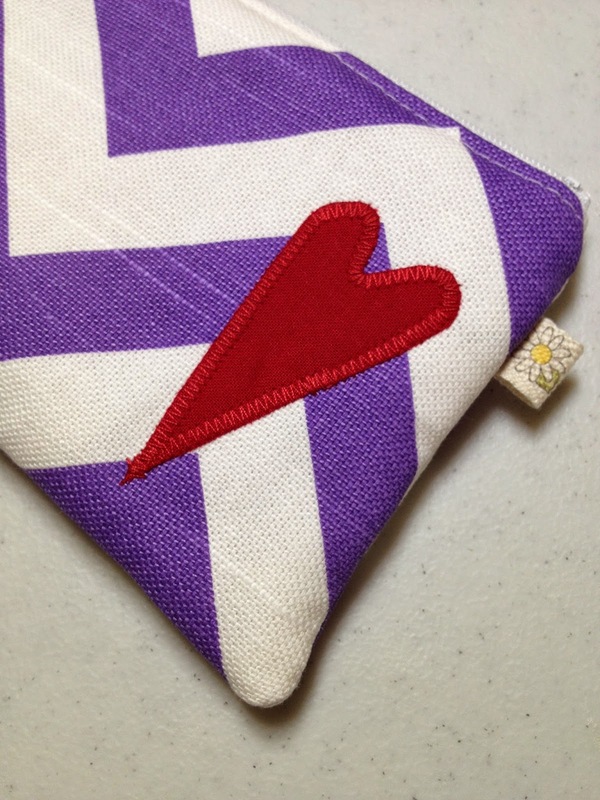 Made from the same popular chevron fabric as many items in my shop and embellished with a red heart appliqué, these pouches are lined with batting and quilter's cotton and are great for any small items in a larger bag, as a change purse, a small simple wallet or as a thoughtful gift. The pouches, which measure 7" wide x 4" tall, are $20 each. They will be made to order and $18 of the total price will go directly to Purple Stride Denver. There is no shipping or tax applied to the purchase, so the remainder will be used to cover these costs. Each pouch will ship in a padded mailer, first class mail.